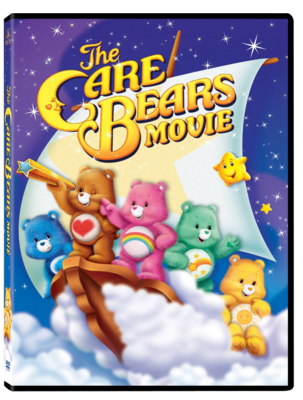 The Care Bears Movie Just $3.74 Down From $15! You are here: Home / Great Deals / Amazon Deals / The Care Bears Movie Just $3.74 Down From $15! Check out this Amazon deal. The Care Bears Movie is just $3.74 down from $15! Get yours now while it lasts! The World is in trouble…and it’s up to the Care Bears to save it! Starring everyone’s favorite animated characters and featuring the voices of Mickey Rooney and Georgia Engel, as well as songs performed by Carole King. The Care Bears Movie will dazzle and delight viewers of all ages. Way up high where the clouds and rainbows live, the Care Bears watch over the Earth and make sure everyone is kind and friendly to one another. So when they see an evil spirit trick a lonely boy into helping make people mean, the huggable heroes jump into action! They come to the rescue with the animals from the Forest of Feelings…but it’s going to take an awful lot of love to defeat the spirit’s powerful spell.